1.5 – Stay Alive . . . A new film that brings together climate science and music from the Caribbean. I’m grateful to Lisa Paravisini Gebert and her Repeating Islands blog for bringing it to my attention. SCIENCE MEETS MUSIC. The style of 1.5 Stay Alive is part music video and part factual. In it, popular Caribbean musicians express their experiences with rising seas by composing and performing songs about climate change, and their visions of how to confront it. Intertwined throughout the film are insights by scientists and local climate experts. The film visits Belize, Costa Rica, Trinidad + Tobago, Haiti, Miami and Louisiana. These regions are examples of the areas that will be, and are, affected by rising seas. A report by Samuel Hoisington for the Chronicle of Higher Education. The University of Puerto Rico’s 11 campuses and central office are closed in the wake of the devastation wrought by Hurricane Maria. “The whole island is without power right now, and the destruction has been catastrophic,” Joseph Martinez Huarneck, the university’s director of communications, told The Chronicle in an email on Thursday. “The communications infrastructure has practically collapsed. Cellphone and internet service are unstable. TV and radio stations, except three or four, are unable to broadcast.” He said it was unclear when the university would be able to reopen. “It will all depend on when power is restored,” he said. Study in Ice, Rock and Water. Southern Greenland seen from 36000 feet. Photo © Susan Oliver. Like the white ghost of a glacier the mists advance, riding over phalanxes of tamarack, sliding across bog meadows heavy with dew. A single silence hangs from horizon to horizon. Aldo Leopold, “A Marshland Elegy,” from A Sand County Almanac: With Other Essays . . . (1949). 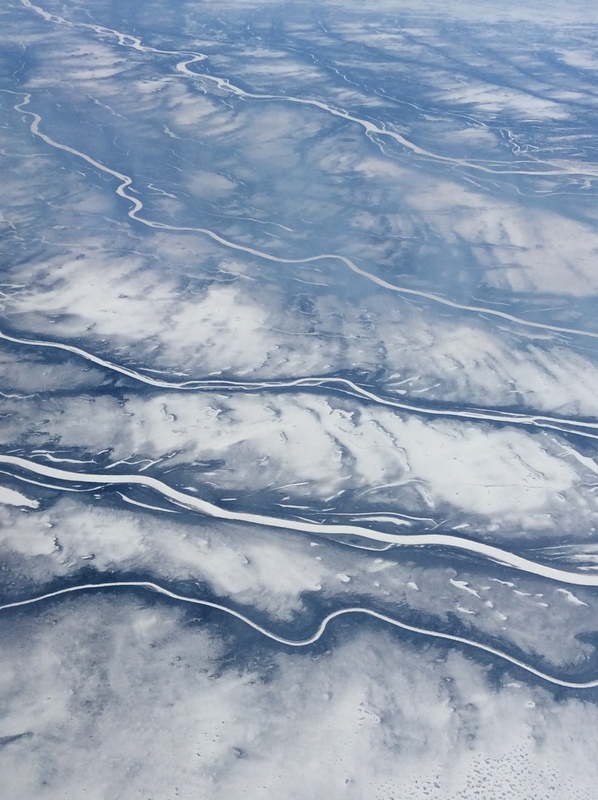 Travelling to Laramie for a September researching books and documents about Scottish rivers in The University of Wyoming’s Toppan Rare Books Library, I was privileged to see Greenland again from the air. A similar journey in mid March led to my earlier photo-essay, Ice Thoughts. The experience was again compelling, with clear skies giving breathtaking views of the Arctic ice sheet. I gazed at the spectacle. Ice, glaciers, rock and water. The polar ice caps and glaciers in particular capture our imaginations with an appeal that increases in power as its physical strength becomes more precarious. The great glaciers slide down to the Atlantic Ocean, calving icebergs into water that is a vivid azure blue only because it reflects the sky. The ocean is mysterious, not least because it returns images of something else. Its surface is like a book and the font of the Arctic is icebergs. The metaphor underpinning the glaciological term “calving” is increasingly unsettling, for what we’re seeing doesn’t suggest new life. Greenland’s glaciers are old and we know they aren’t regenerating. The process of calving has come to have little to do with new birth, and as the glaciers and sea ice thin (they used to thicken) the irony implicit in a word draws attention to a sickness: are these icebergs a monstrous progeny? Whatever, the sight speaks of grandeur and magnificence. Glacier in southern Greenland, calving. Photo © Susan Oliver. I was travelling on the gas-guzzling giant of an airliner that is a Boeing 747. If icebergs inscribe oceans to tell a tale of our warming planet, contrails are a script of the skies. Saying that the plane would fly regardless of whether I was on board isn’t adequate. But the aim here is to take up a topic that I wrote about earlier this year, with comparisons and new thoughts about ice. As I took the photos I’ve used here, a friend was somewhere below on an expedition ski-ing across Greenland. I look forward to reading her account of a range of cultural as well as environmental issues – I’ll post details when that work is available. 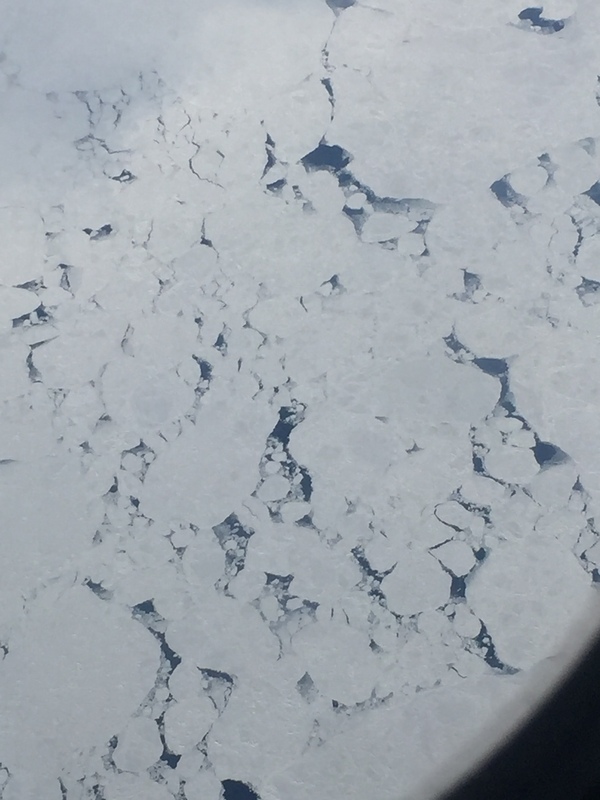 NASA’s Operation IceBridge mission, which has been investigating changes in the Arctic and Antarctic ice sheets since 2009, has just made public its latest findings. IceBridge‘s deep science study of melt and ice thickness in Greenland’s glaciers and ice sheet includes a comparison of aerial photographs taken from March through to late August and early September this year. 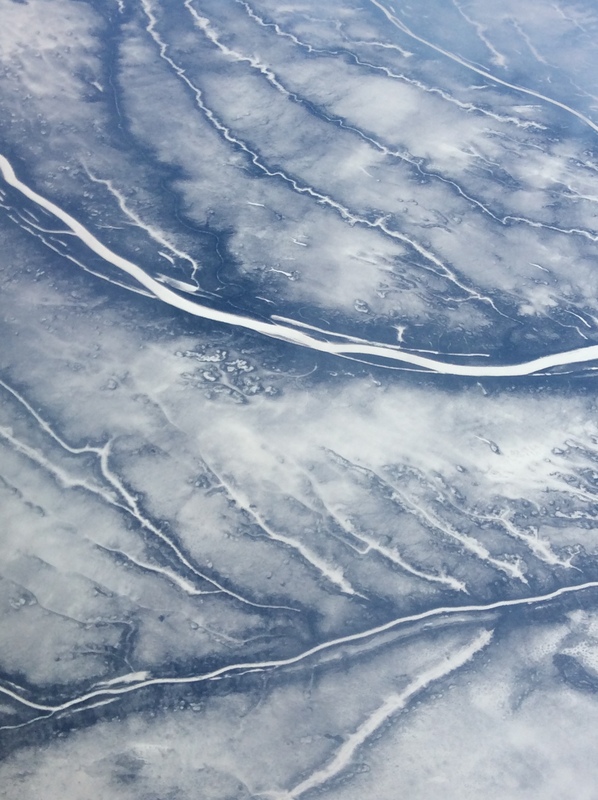 Those flights, which I didn’t know of when I began working on this piece, overlapped with my own journeys, adding a scientific and artistic depth to ice writing that my two posts can’t begin sufficiently to acknowledge – I’ve provided links that I hope readers will follow. A NASA news post from 19th August begins “This year’s melt season in the Arctic Ocean and surrounding seas started with a bang, with a record low maximum extent in March.” As I write, their Image of the Day (taken on 16th September) is titled “IceBridge Observes Effects of Summer Melt on Greenland Ice Sheet.” Another post includes a map of ice melt under Greenland’s glaciers. The mission extends matters of environmental justice beyond their implications for humans, addressing species loss in an article about the impact of diminishing ice floes on polar bears: Kristin Laidre from the University of Washington’s Polar Science Centre, points out that sea ice is polar bears’ “platform for life,” since they can’t out swim the seals on which they feed. The World Wildlife Fund estimates there are currently around 22000-31000 polar bears living in 19 distinct subcultures around the Arctic cryosphere. While the population increased after hunting was controlled in the late twentieth century, predictions are for a 30% reduction in numbers by 2050 because of ice melt. Some studies estimate the East Greenland population to be around 2000 bears. The Atlantic, National Geographic and the International Business Times, along with some other newspapers and magazines, have just published articles about the Antarctic mission of Project IceBridge with some stunning photographs by Getty Images photojournalist Mario Tama who flew on the DC-8 used for the survey. Ice is news. Alluvial fans and braided melt streams in glacial trunk valley. Photo © Susan Oliver. Greenland: glacier and mountains. Photo © Susan Oliver. Above: three photographs of rock and ice. The bottom image shows what is regularly referred to as the wishbone-pattern of Helheim Glacier’s channels. Helheim is believed to be Greenland’s fastest melting glacier. All photos © Susan Oliver. I marched him slowly down in the starlight on the comparatively smooth, unassured surface of the little glacier to the terminal moraine, a distance of perhaps a mile, crossed the moraine, bathed his head at one of the outlet streams, and after many rests reached a dry place and made a brush fire. I then went ahead looking for an open way through the bushes to where larger wood could be had, made a good lasting fire of resiny silver-fir roots, and a leafy bed beside it. I now told him I would run down the mountain, hasten back with help from the boat, and carry him down in comfort. But he would not hear of my leaving him. The episode is from Muir’s 1879 first journey to Alaska, during which he hoped to prove his theory that the American West was shaped by glacial erosion as well as by seismic activity. Anyone who’s watched the EIS film knows that while there’s no attention to shoulders, James Balog ruined his knees chasing ice. His passion, like that of Muir’s missionary, was persuading people to believe in something – in his case, that the planet’s glaciers are losing their ice much faster than previously expected and that we have to act now if we’re to stand any chance of saving them. Projects to understand what is happening not only above, but inside and under melting glaciers are now raising awareness of the complexity of different areas and types of melt and their effects. NASA’s Global Climate Change web page compares photos of Muir Glacier in Alaska – named after John Muir – in August 1941 and 63 years later in August 2004. I’m curious whether readers who clicked on the above link found themselves having to look twice at the second photo even to see the glacier, as I did. Looking down at Greenland on 31 August 2016 from 36000 feet, the amount of visible rock seemed unnerving in direct proportion to the beauty of the sight. Greenland: glaciers and fjord. Photo © Susan Oliver. Glaciers work apart from men, exerting their tremendous energies in silence and darkness, outspread, spirit-like, brooding above predestined rocks unknown to light, unborn, working on unwearied through unmeasured times, unhalting as the stars, until at length, their creations complete, their mountains brought forth, homes made for the meadows and the lakes, and fields for waiting forests, earnest, calm as when they came as crystals from the sky, they depart [. . .] . The great valley itself, together with all its domes and walls, was brought forth and fashioned by a grand combination of glaciers, acting in certain directions against granite of peculiar physical structure. All of the rocks and mountains and lakes and meadows of the whole upper Merced basin received their specific forms and carvings almost entirely from this same agency of ice. Section subtitled “Glacier History,” in “Yosemite Glaciers,” New York Tribune, December 5, 1871. I’m interested that Muir talks here explicitly about an “agency of ice” that operates “apart from men” to exert its force on something much older that us – the rock that it erodes – while conveying as strong a sense of its affective agency on the human imagination. The conflict of forces that he describes, moreover, can be interpreted as evidence of an elemental ascendency: ice triumphs over fire, for granite is an igneous rock. As botanist as well as geologist, Muir was at least as interested in moraine as in the ice that produces it. 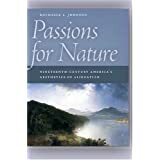 He thrilled to comparative studies of plants that grow on the sediment left by glaciers, always looking, as Alexander von Humboldt had in South America before him, for species that evidence connection more than for those that indicate separateness. Such a comparative framework for enquiry makes Muir and Humboldt global ecologists. Each developed Johann Gottfried Herder’s argument that humans exist within a “natural system” or “geographical aerology” in which all living things in a region respond to the quality and combination of the land, air, water and other local factors, which in turn contribute to a diverse universe of interrelated environments in which beauty equates with variety (Herder, Outlines of a Philosophy of the History of Man, 1791). John Muir’s Alaska is vibrant with ice and life, and so is beautiful. Leopold’s deep historical account of the cranes’ habitat describes how “the glacier came down out of the north, crushing hills and gouging valleys.” Lobes of the same pan-North American Laurentide Ice Sheet created the basins for the Great Lakes. Glaciologists and geologists have concluded that the great glacier of the Wisconsin Glaciation, the last great cycle of climate cooling and glacial expansion in North America that took place between 100,000 – 11,000 years ago, extended into Wisconsin around 31,500 years ago. 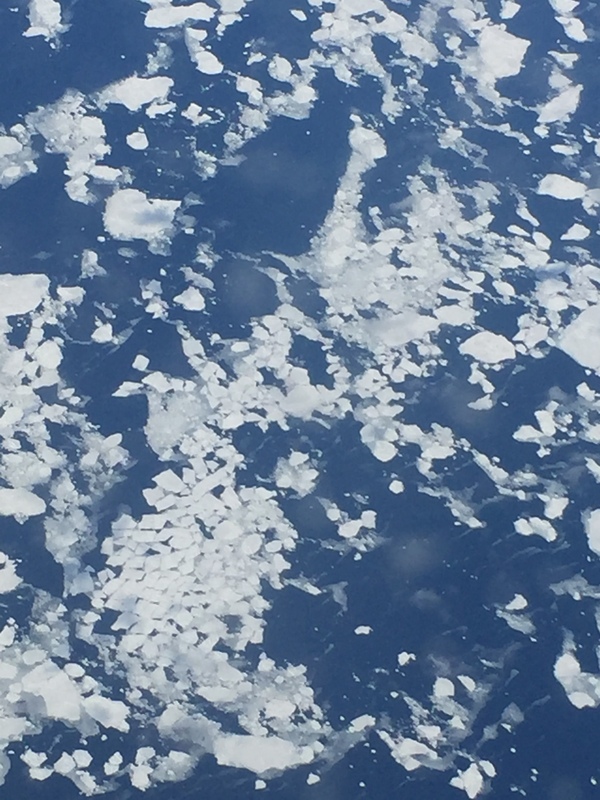 Currently, paleoclimatologists are using computer modelling to increase understanding of atmospheric changes accompanying the “several massive surges of icebergs into the North Atlantic Ocean” in the Heinrich event that 11,ooo years ago – the same time as the final retreat of the glacier from Wisconsin – signified “the irreversible collapse of the Laurentide Ice Sheet” ( See Paleoclimate over the Laurentide Ice sheet at the Last Glacial Maximum, Polar Meteorology Goup, Byrd Polar Centre at Ohio State University and University of Maine Climate Change Institute). Wheat and corn, staple crops in Wisconsin, stripped vital nutrients from the soil, leading eventually to repeated crop failures. The combination of aggressive agricultural practices, overgrazing of livestock, and severe drought, left the landscape barren. Along with vanishing vegetation, area wildlife suffered great losses. Many indigenous animals either deserted the region to find refuge or perished owing to the depleted environment. Teton Glacier and moraine. Photo © Susan Oliver. Teton Glacier from a distance. Photo © Susan Oliver. Tourist Information Board showing the Glacier’s retreat over almost a century. Photo © Susan Oliver. As the tourist information board points out, Teton Glacier isn’t all that old: 200 to 600 years at most. Indeed, it dates from a period when Frost Fairs were held on the River Thames in London. The Thames last froze sufficiently for a Frost Fair to take place in 1814, a year before the end of the Napoleonic Wars, at a time when Jane Austen and Walter Scott were writing novels (Mansfield Park and Waverley were published in 1814), while Lord Byron (The Corsair) and Wordsworth (The Excursion) were writing poetry, and two years before Percy Shelley wrote probably his most famous ice poem, “Mont Blanc.” Shelley’s poem begins with its apostrophe to “The everlasting universe of things” that “Flows through the mind,” a sense of permanence that ought now to be read as a warning about complacency in a twenty-first century of ice melt. 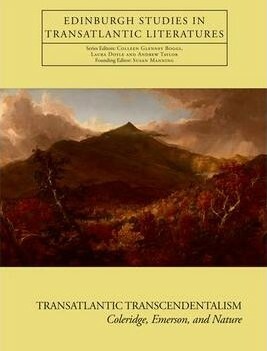 (My friend at Leeds University and colleague in environmental humanities, David Higgins, is currently writing about Shelley’s “Mont Blanc,” Romanticism and ruin). Mary Shelley would soon begin Frankenstein, which begins in an Arctic wilderness. Caspar David Friedrich’s The Sea of Ice, based on Edward Parry’s 1819-1820 expedition to find a North-West passage through the Arctic Ocean would be painted less than a decade later in 1823. Surface melt on glacier in Greenland. Photo © Susan Oliver. A comparison of my photo above with one titled “Ice drainage from the western Antarctic Peninsula onto the northern George VI Ice Shelf,” taken on 14th October by the Antarctic IceBridge team, demonstrates how the visible surface of ice reveals the overall polar nature of the problem of ice melt in ways that suggest both narrative and lyric. I’m trained as a specialist in Romantic literature and am thinking that these photos, with their visual language cutting across linguistic barriers, work like new lyrical ballads for a twenty-first century in which climate change is the biggest cause for global concern. Henry David Thoreau, American transcendentalist and environmentalist, also thought about ice. Walden (1854), Thoreau’s narrative of his experiment in living well, tells how a study of Walden pond in winter raises matters of philosophical, aesthetic and material concern. His disturbing account of harvesting Walden pond’s ice reads as much like the butchering of an animal as it does the reaping of a crop, with blocks being “raised by grappling irons and block and tackle, and worked by horses, on to a stack [ . . .] in a good day they could get out a thousand tons, which was the yield of about one acre” (Walden, Chapter 16 :”The Pond in Winter). While Thoreau points out that less than 25% of the ice would reach its final destination, he also knew that Boston’s Ice King, Frederic Tudor (1783-1864) made a fortune selling ice from Walden and other ponds locally, to the Caribbean and to Europe. Ice was big business. Looking back on my last photograph above, the texture of ice interested Thoreau when he used comparative language to convey a sense of aesthetic beauty and spiritual transcendence in an organic natural world beyond the human: “Ice has its grain as well as wood, and when a cake begins to rot or ‘comb,’ [it assumes] the appearance of honeycomb. Thoreau goes on to point out that the frozen structure of ice appears to have developed in sympathetic dialogue with herbaceous plants, for “Even ice begins with delicate crystal leaves, as if it had flowed into moulds which the fronds of waterplants have impressed on the watery mirror” (Walden, Chapter 17, “Spring”). As the last two days had been very warm, like an Indian summer, the ice was not now transparent, showing the dark green color of the water, and the bottom, but opaque and whitish or gray, and though twice as thick was hardly stronger than before, for the air bubbles had greatly expanded under this heat and run together, and lost their regularity; they were no longer one directly over another, but often like silvery coins poured from a bag, one overlapping another, or in thin flakes, as if occupying slight cleavages. The beauty of the ice was gone, and it was too late to study the bottom. Being curious to know what position my great bubbles occupied with regard to the new ice, I broke out a cake containing a middling sized one, and turned it bottom upward. The new ice had formed around and under the bubble, so that it was included between the two ices. It was wholly in the lower ice, but close against the upper, and was flattish, or perhaps slightly lenticular, with a rounded edge, a quarter of an inch deep by four inches in diameter; and I was surprised to find that directly under the bubble the ice was melted with great regularity in the form of a saucer reversed, to the height of five eighths of an inch in the middle, leaving a thin partition there between the water and the bubble, hardly an eighth of an inch thick; and in many places the small bubbles in this partition had burst out downward, and probably there was no ice at all under the largest bubbles, which were a foot in diameter. I inferred that the infinite number of minute bubbles which I had first seen against the under surface of the ice were now frozen in likewise, and that each, in its degree, had operated like a burning-glass on the ice beneath to melt and rot it. These are the little air-guns which contribute to make the ice crack and whoop. From Walden, Chapter 13, “House-Warming.”Taken here from The Thoreau Reader, a project in cooperation with The Thoreau Society. I have been told that in the experiment at Cambridge to freeze water in a shallow wooden pond, though the cold air circulated underneath, and so had access to both sides, the reflection of the sun from the bottom more than counterbalanced this advantage. When a warm rain in the middle of the winter melts off the snow-ice from Walden, and leaves a hard dark or transparent ice on the middle, there will be a strip of rotten though thicker white ice, a rod or more wide, about the shores, created by this reflected heat. Also, as I have said, the bubbles themselves within the ice operate as burning-glasses to melt the ice beneath. 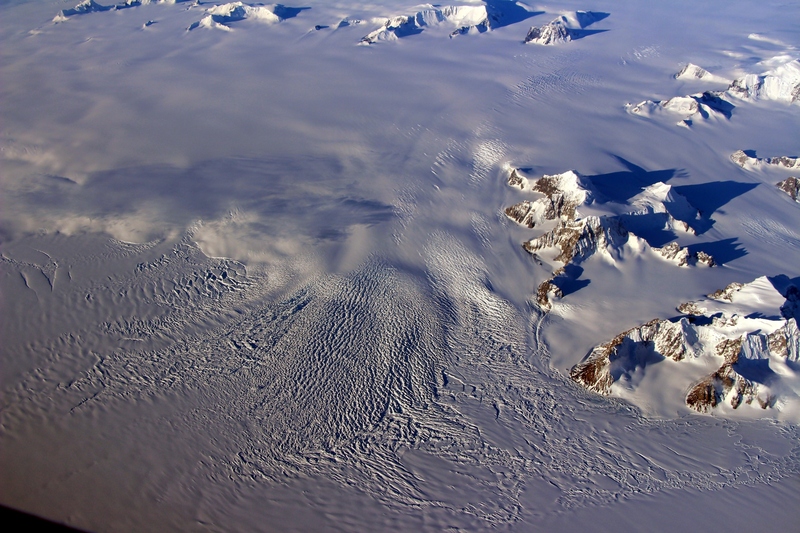 The cracking and booming of the ice indicate a change of temperature. One pleasant morning after a cold night, February 24th, 1850, having gone to Flint’s Pond to spend the day, I noticed with surprise, that when I struck the ice with the head of my axe, it resounded like a gong for many rods around, or as if I had struck on a tight drum-head. The pond began to boom about an hour after sunrise, when it felt the influence of the sun’s rays slanted upon it from over the hills; it stretched itself and yawned like a waking man with a gradually increasing tumult, which was kept up three or four hours. [. . .] The fishermen say that the “thundering of the pond” scares the fishes and prevents their biting. The pond does not thunder every evening, and I cannot tell surely when to expect its thundering; but though I may perceive no difference in the weather, it does. Who would have suspected so large and cold and thick-skinned a thing to be so sensitive? Thoreau’s writing needs to be understood as being of its time, and its undeniably Romantic as well as including an informed lay understanding of science. But he surely has a lot to say to us now. Returning to the twenty-first century, I’d like approach a conclusion by means of some final considerations and some more images from my journey over Greenland. This post began with those views. I’ve commented on reports of the struggle for life faced by polar bears having to adapt to shorter Arctic winters and smaller ice floes. The University of Delaware and some other institutions are working with NASA’s Project IceBridge on a study that is a predicting a restriction in the habitat and a likely decline in the population of Adélie penguins, due to shifting temperatures and ice melt. That study points out that Adélie Penguins have for millions of years responded to changes in glaciation: “the geologic record tells us that as glaciers expanded and covered Adélie breeding habitats with ice, penguins in the region abandoned their colonies. When the glaciers melted during warming periods, the Adélie penguins were able to return to their rocky breeding grounds” (see “Climate Change May Shrink Adélie Penguin Range By End of Century“). The investigation views the current situation as potentially different, however: “this warming may no longer be beneficial for Adélie penguins. In a paper published June 29 in the journal Scientific Reports, the researchers project that approximately 30 percent of current Adélie colonies may be in decline by 2060, and approximately 60 percent of the present population might be dwindling by 2099.” Polar Bears and penguins are charismatic megafauna, as well as being sentinel or indicator species. They are large, powerful or appealing enough for their vulnerability to elicit an emotive public call for action. It’s probably fair to say that they’re inseparable from our idea of what the Arctic and Antarctic are. What of creatures that are less visible? That the complex ecologies of Greenland’s glacial environment and the surrounding Arctic Ocean consist of tiny and short-lived creatures as well as polar bears, walruses, whales and seals is obvious and well-known. But scientists still don’t know exactly how food chains and species will be affected as the glaciers and sea-ice melt. The photos used here capture beauty and uncertainty. I hope they link ice and thought. They’re less abstract in appearance than those in Ice Thoughts, where the aim was to let the images speak more for themselves. I’ve tried here to follow that earlier post by developing more extensive narrative enquiries as well as lyrical meditations about ice. Approaching south-east Greenland. Photo © Susan Oliver. Calving glacier with moraine. Photo © Susan Oliver. Glacial flows. Photo © Susan Oliver. Edge of the ice-sheet, south western Greenland. Photo © Susan Oliver. Nebraska state line. My photograph. A sense of time lies thick and heavy on such a place . . . . The cranes stand, as it were, upon the sodden pages of their own history. Aldo Leopold, A Sand County Almanac and Sketches Here and There (1949). On a windy morning in April I embarked on a journey through eastern Wyoming towards Nebraska to see sandhill cranes. The great spring sandhill crane migration is one of the world’s sublime wildlife spectacles: for sheer scale, the Audubon society compares this northward flight of more than half a million birds with the movement of wildebeest across the plains of southern Africa. Another comparison might be with the herds of millions of bison that roamed the North American prairie, before their near extinction in the second half of the nineteenth century. By 1833 there were no bison east of the Mississippi, and by the end of the century only 23 plains bison remained living wild in a remote corner of Pelican Valley, Yellowstone National Park. I think also of the much smaller population of greater sage grouse, a threatened prairie bird species whose habitat of sage-brush and other native flora is being eroded, and which I was privileged to see on a visit to Wyoming two years ago (“Sage Grouse Lekking and Canyon Fiction” 2014). The cranes are nowhere near extinct, though. Upwards of half a million – estimated to be around 80% of the global species population – stop to feed each February until early April along an 80-mile stretch of the Platte River in western Nebraska on their way to breeding grounds further north in Minnesota, Wisconsin, Michigan, Oregon and Idaho up through Canada to Alaska and eastern Siberia. The waters of the Platte run in the opposite direction, flowing into the Mississippi and thereby eventually into the Gulf of Mexico. I think about the flow of water and birds, like great lifelines crossing and connecting bioregions and biomes. The cranes thrive in the summer tundra and wetlands of the boreal forests (taiga or snow forests), nesting in reeds and marsh vegetation. Their diet includes berries – I remember the intense flavour of wild raspberries during a visit to British Columbia. A dawn wind stirs on the great marsh. With almost imperceptible slowness it rolls a bank of fog across the wide morass. Like the white ghost of a glacier the mists advance, riding over phalanxes of tamarack, sliding across bogmeadows heavy with dew. A single silence hangs from horizon to horizon. . . .
A sense of time lies thick and heavy on such a place. Yearly since the ice age it has awakened each spring to the clangor of cranes. The peat layers that comprise the bog are laid down in the basin of an ancient lake. The cranes stand, as it were, upon the sodden pages of their own history. And hears at night the rock-slides rattle and thunder in the throats of these living mountains. Robinson Jeffers, “The Beaks of Eagles. Hutton Lakes, 9 April 2016. My photograph. Warmth was the problem with my crane excursion. The chill wind of Hutton Lakes had given way to several balmy days with temperatures into the low 60s Fahrenheit. I’d been advised that I needed to make my journey because the migration would soon be over: the last birds leave in early April. During the three-hour drive north-eastwards above Cheyenne, a tumbleweed (salsa triagus, salsola iberica, salsola kali) bowled across the road into a barbed wire fence. It arrested my attention. I stopped to take a photograph and saw how in their spiny tussle over territory, the barbs of the weed and wire echoed one another in a frenzied dance of strands, blades, and spikes. Tumbleweed and barbed wire. My photograph. Tumbleweed and barbed wire 2. My photograph. Weed and wire are icons of invasion and agents of colonisation. Commonplace and a staple flora of western movies, tumbleweed is associated with the old western U.S.A. Its common name, Russian thistle (another is “wind-witch”) betrays its origins. Tumbleweed was introduced to north America in the 1870s in seed flax brought by Russian migrants who settled to farm in South Dakota. For more discussion, see The Culture of Wilderness: Agriculture as Colonization in the American West (1996), by a friend and colleague at the University of Wyoming, Frieda Knobloch. The process of association continues and I’m reminded of Edward Abbey’s rebarbative activist George Hayduke in The Monkey Wrench Gang, with his allergy to “that exotic vegetable from the steppes of Mongolia.” Barbed wire – described by Hayduke’s fellow monkey-wrencher Seldom Seen Smith as a “tetanous steel” that “catches coyotes too, and golden eagles” – was patented by Joseph Gliddens in Ohio in 1874, as a means of protecting land rights by keeping animals in and people out. As the land through which I pass becomes drier, there there’s an increase in the population of soapweed yucca (yucca glauca). Common and, like the tumbleweed, considered an invasive nuisance, this most widely distributed of North America’s yuccas is nevertheless listed as an imperilled species in Missouri. The crushed roots lather when mixed with water and can be used as a natural shampoo. Soapweed Yucca (yucca glauca). My photograph. My three-hour journey northwards through Hawk Springs to the lower elevation of 4050ft near Table Mountain ends when I arrive at the Goshen Lower North Platte Wetlands complex. Frogs sang and midges whined. A Swainson’s hawk watched from a fence post. The sun’s rays beat down with intensity. There was not a crane to be seen. Either they’d already migrated northwards or were further east, perhaps beyond the confluence of the North and South Platte Rivers. Marsh without cranes, Goshen North Platte lower wetlands wildlife complex. My photographs. Well, it would be a lie to say that I wasn’t disappointed. An evening engagement in Laramie meant there wasn’t time on this visit to travel much further. But you don’t have to try all that hard to look beyond the sandhill cranes to see the beauty and dignity of this grasslands and ranch border country with Nebraska. I drove for several miles through an area farmed with arable crops, grass for hay, and cattle. It’s not only the cranes that stand upon the waterlogged pages of their own history. Rusting vehicles in yards – mechanical fossils in this land of dinosaur remains – testify to progress and what’s been left behind. Willa Cather’s My Ántonia (1918), with its historical story of the tough lives of eastern European migrant farmers, conjures thoughts about sod houses that predate the homesteads and ranches. The sod houses are long gone, but the arable landscape with cattle and corn remains. Black Hawk, the fictional setting for My Ántonia, was based on Red Cloud where Cather spent her childhood. 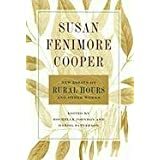 Her novel is a powerful tale of determination in the face of poverty and hardship, and it’s a favourite book of mine. But those place names bespeak a controversy where the displaced are no longer able to stand on the pages of their own history. Black Hawk and Red Cloud. Both were also the names of chiefs of American indigenous people, the Sauk and the Lakota. Both campaigned for their people’s human and land rights. The agricultural settlement of the north American prairie from the United States up through Canada was at the cost of first nations people, their homes and their ways of life, as well as at the expense of native flora and fauna. The scale of the environmental justice and ethical issues can’t properly be covered here, and indeed has never been adequately addressed down through modern history to the present day. Thinking about books that I read with students, I range back from My Ántonia to transcendentalist Margaret Fuller’s Summer on the Lakes in 1843 (1844). Based on a summer that Fuller spent following trails across the mid-west, and described by by her as “such foot-steps as may be made on the pages of my life” Summer on the Lakes includes an account of Sauk chief Black Hawk and his people, the flowers of the prairie, and the enforcement of the Indian Removal Act. I return to thoughts about plant species and their invasive roles. In an earlier post for this blog (“Wildflower thoughts,” 2015) I’ve mentioned the emblematic qualities and botanical agency of native flora for Fuller, as a counterpoint to the coarse plantain (plantago media) commonly called “the white man’s footstep” because of its role in the botanical colonisation. Back towards the state line, I come to the village of Lyman, Scotts Bluff County, population 341 at the 2010 census. Main street includes a library, a barber’s shop and a post office. Main Street, Lyman, Nebraska. My photograph. Border country. Highway into Lyman from Wyoming. My photograph. Looking across the state line, signs remind travellers from Wyoming that seat belts and motorcycle helmets are required by Nebraska State Law. A 40mph speed limit slows traffic heading into Lyman. Trucks shimmer in the heat haze and purple flowers line the roadside. In the opposite direction, Wyoming’s bronco and mountains beckon along the only manicured stretch of grass that I’ll see for an hour or two. A row of Cottonwoods intersect with the highway to reveal a creek. State line, Wyoming. My photograph. The friend who’d given me the route for this wild crane chase also mentioned some ponds with waterfowl close to the highway. I saw several ring-necked ducks, cinnamon teal and couple of pairs of shovelers along with mallard, coot and Canada geese. Returning to Highway 85 and heading south took me back though more ranch country. On the way up, there’d been wild turkeys along the verge. Now barns gleamed white against the earthy pastel green and ochre of the Wyoming grasslands. Ranch with barns along highway 85, Wyoming. My photograph. Hawk Springs in Goshen County, population 45 at the 2010 census, is a welcome refreshment stop for travellers . The Emporium, a clean country kitchen style cafe and bar, sells ice along with pop, beer and a delicious pork and green chilli soup. It also promises steak and cocktails, does a good line in rye and other whiskies, and was advertising a goose cook-off. I heartily recommend it and will definitely call there on another visit. The bar was decorated with snowshoes and stuffed animals, along with University of Wyoming sports memorabilia. Outside, wooden posts supporting what today was a rather hot tin roof over a small terrace serve as a guest book. The Emporium is a gem. The staff make you feel like locals. You’ll leave with a smile, feeling good about the world. Refreshments at The Emporium, Hawk Springs. My photograph. The Emporium, Hawk Springs. My photograph. Hawk Springs trading post on Highway 85, Wyoming. My photograph. My return to Laramie along Happy Jack Road from Cheyenne returns a familiar landscape of ridges and boulders. It’s late afternoon. Pronghorn are feeding not far from the highway, near some horses. Like sandhill cranes, pronghorn migrate (see articles by members of the Haub Environmental School, University of Wyoming, in High Country News). Barbed wire is one of the hazards they encounter. Pronghorn with horses, near Cheyenne. My photograph. Geology and weather: ridge with storm clouds between Cheyenne and Laramie. My photograph. Near Curt Gowdy State Park, Wyoming. My photograph. Near Vedauwoo National Park, Wyoming. My photograph. Well, I’m told that seeing the sandhill crane migration is unforgettable. I’ll try again next year. As I close this post, I’m thinking of some lines from Wordsworth about the value of what happens when the anticipated experience doesn’t materialise. In The Prelude, Wordsworth remembers a boy (most likely himself) who “blew mimic hootings to the silent owls” (5:398. 1805 Prelude). Many of us have had that experience: in the boy’s case the owls then reply, bringing a rush of exhilaration and joy. But Wordsworth also recalls “a gentle shock of mild surprise” (5:407) in moments waiting, when there has been a long and unexpected silence. At first the boy feels mocked. It’s as if he has failed. He is crestfallen. The shock is brought about not by disappointment, however, but by something that both restores confidence and is invigoratingly new: for his mind has been made more receptive to the unexpected. He heard, or imagines that he heard, a sound that “carried far into his heart / The voice of mountain torrents.” The poem continues with the activation of other senses: “the visual scene / Would enter unawares into his mind” (5: 406-10). This day excursion through a country I’d not been able to anticipate, because I was thinking with expectation about the sandhill cranes, has been one that I’ll remember, for so many reasons other than the absent birds. I’m left with the memories that I’ve tried to share here, along with the anticipation of cranes on another day. This post is concerned with visual aesthetics, so I’m not adding many words. 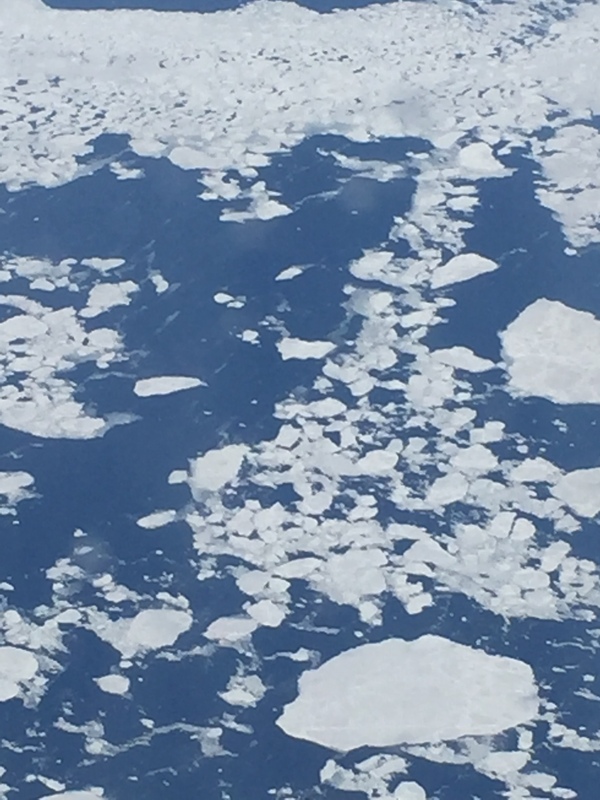 The photos were taken over Greenland and Northern Canada. The spectacle of ice is impressive, freeze-framing a weird beauty. A language of ratios: the proportion of water in solid and liquid form = conditions for life? NASA’s own aerial images show that Pluto has ice flows . Ice revisits an old question: does art imitate nature or vice versa? William Hogarth argued ‘the waving line is the “line of beauty” and the serpentine line is the “line of grace.” These two lines are the lines most varied in form and they contribute most to producing beauty’ (The Analysis of Beauty, 1753). Arteries and veins. Boreal body. Ice as life. Confluences and intersection. Icelines scored by a line of least resistance. 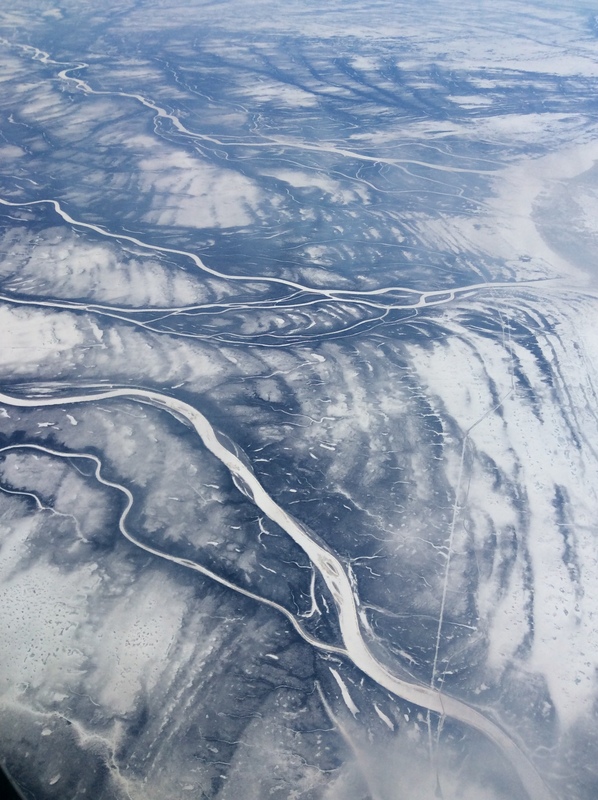 I’m grateful to my friend and colleague from the University of Wyoming, Teena Gabrielson, for her shared interest in these photographs from our perspectives of aesthetics, agency, and land ethics. 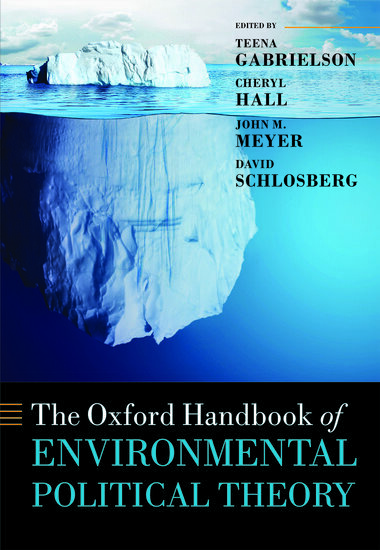 See The Oxford Handbook of Environmental Political Theory, Edited by Teena Gabrielson, Cheryl Hall, John M. Meyer, and David Schlosberg. None of these photos shows people, but all concern lives and livelihoods. A must-see film is the documentary People of a Feather by Joel Heath and the people of Sanikiluaq. Billed as ‘a film about survival in a changing Canadian Arctic,’ People of a Feather explores changing ice conditions from the perspective of a community living on an island in Hudson’s Bay.